The Quad-Pod is a spinning rattling toy that encourages birds to play. It is full of beads that slide from section to section as birds spin the toy. Small bells attached to the tip of each of the four sections add to the fun. 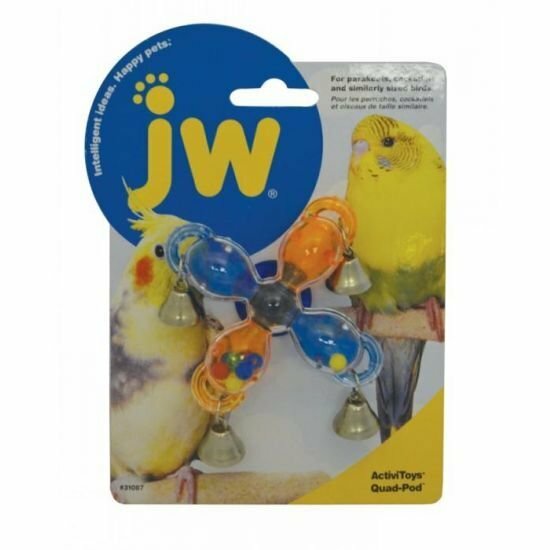 Birds can ring each bell individually, or spin the whole toy for a symphony of sound! Suitable for all small to medium sized birds.